Updates to Steven R.'s profile since your last visit are highlighted in yellow. Kim and I have 2 kids. Zack is 22 and is married to his sweetheart from the 6th grade on. He just finished More…playing professional baseball for the Colorado Rockies and is now a fulltime student at Pittsburg St. University. Our daughter, Mallori, is 19 and played volleyball this year at Neosho County Community College and will attend Pittsburg State University in the Fall of 2009. Kim Mack and I were married on May 30th, 1981 and have raised 2 kids. She is a vice president at a bank and I have my BS and Masters from Ft. Hays State University. 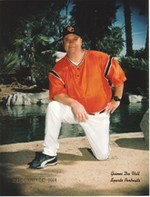 I am in my 24th year as the Head Baseball Coach at Neosho County Community College in Chanute, KS. I also am an instructor of HPER classes and am also the athletic director. Kim and I have raised 2 great kids. Zack (22) who was a 4 time All Stater and a 2 time All-American in baseball and played with Team USA. He was drafted by the Colorado Rockies and played 3 years for their system befoe being released. 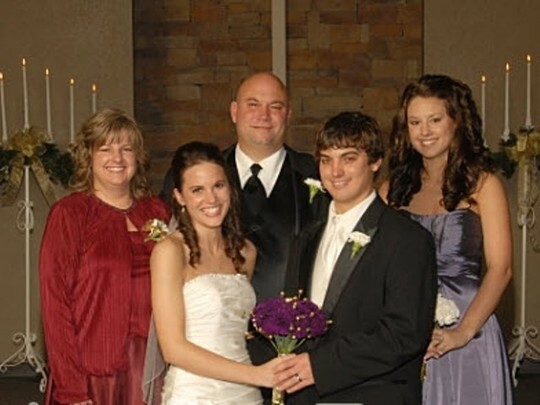 Now, compliments of Major League Baseball, he goes to college for free at Pittsburg State University and is married. Mallori (20) was also an athlete in HS playing volleyball and basketball. She earned a volleyball scholarship and played one year before deciding that school was more important to her and she now also attends Pittsburg State University. As you can see, Kim and I spent most of our lives chasing around the country to our kid's athletic endeavors and now...all of that is over and we are empty nesters. Has only been a few weeks but we love it. Steven R. Murry has a birthday today.